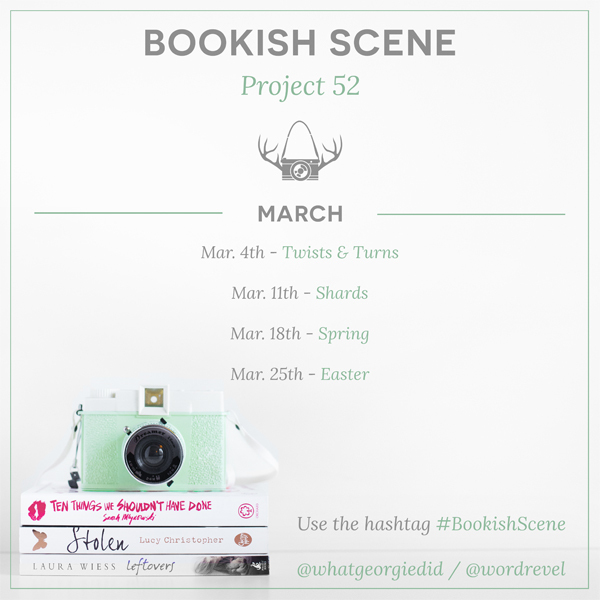 This week’s Bookish Scene: Project 52 theme „Twists & Turns“ suits me quite well because as an avid reader of thrillers and crime fiction these are essential things that make this genre so exciting for me. There’s nothing wrong about a linear but well-plotted mystery but what provides the real thrill for me are twists that throw me off my feet and unpredictable turns that shock me to the core. That’s why for my picture I picked some books that had some twists and turns that I haven’t been able to see coming at all and which shocked or surprised me so much that even though most of the story has already faded from my memory I can still remember its big plot twist. Two books that are full of twists and turns and provide a surprise in almost every chapter are „Sakrileg“ („The Da Vinci Code“) and „Illuminati“ („Angels & Demons“) by Dan Brown. Another true master of unpredictable developments is Brandon Sanderson and I absolutely loved how he could surprise me in every single book of his first „Mistborn“ trilogy. 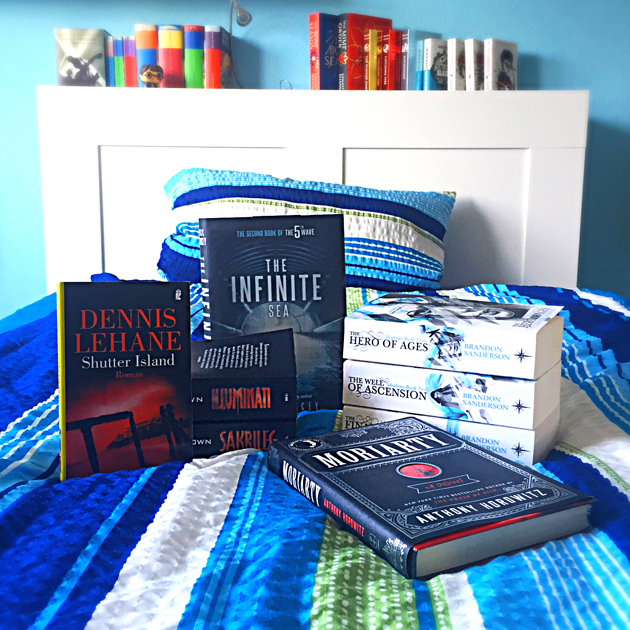 Three books I’m never going to forget thanks to their amazing plot twists are „The Infinite Sea“ by Rick Yancey, „Moriarty“ by Anthony Horowitz“ and – last but not least – „Shutter Island“ by Dennis Lehane, which has one of my favorite plot twists of all time.